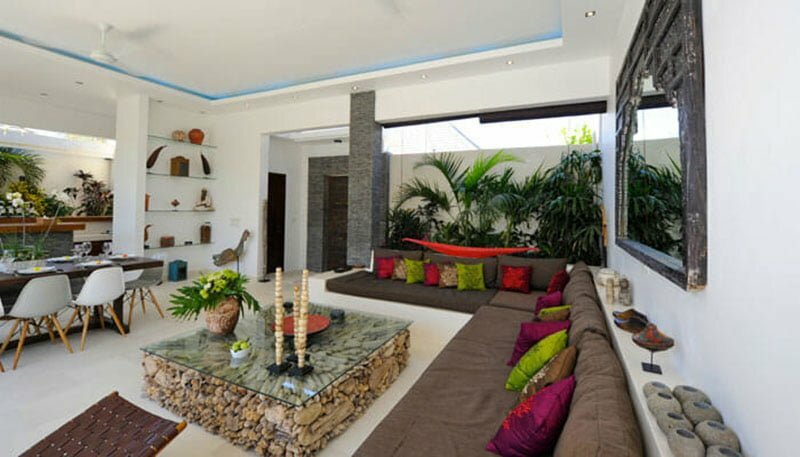 If you want to a luxury retreat in a luxury villa, then try out one of our villas. 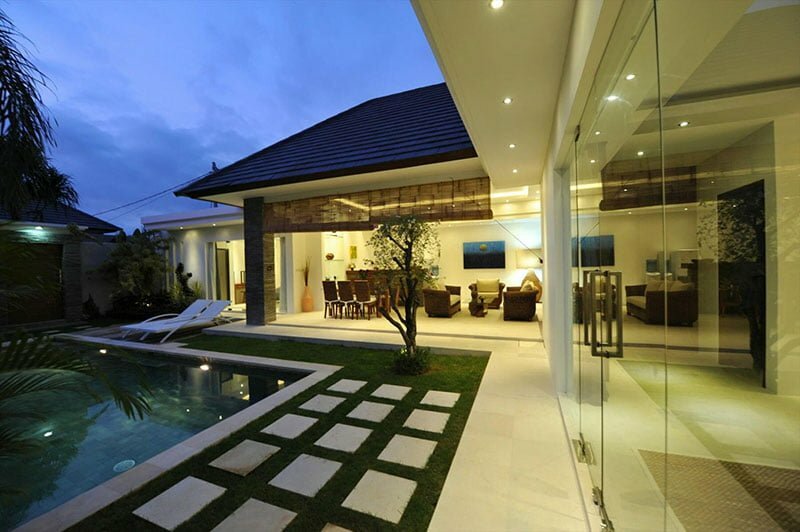 At Ceningan Villa Complex, we leave no stone unturned as far as offering top-notch accommodation is concerned. 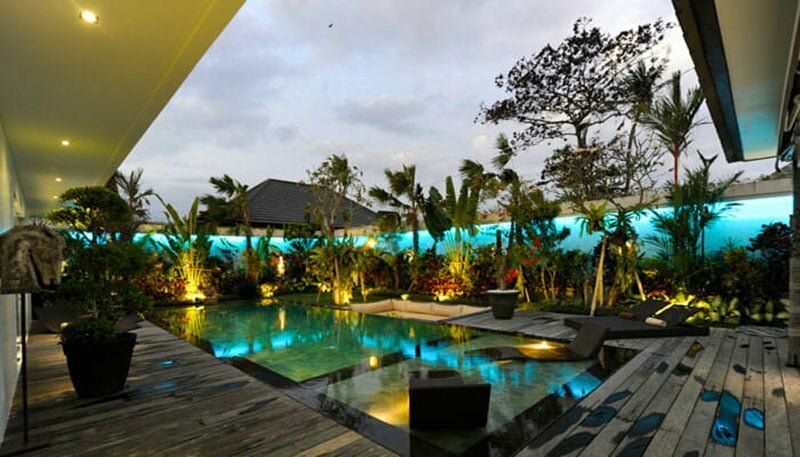 Our facility is set at the heart of Seminyak, an area hosting a series of fashionable seaside Bali resorts. 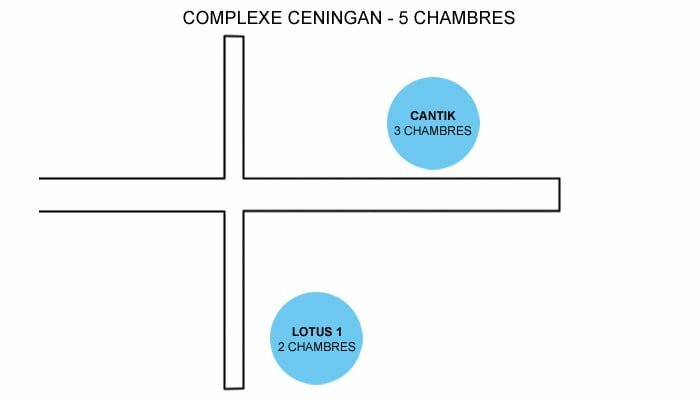 The complex is only 30 minutes away from Ngurah Rai International Airport by car. It is also a few strolls away from Oberoi Street –a spot for popular bars, boutiques, and restaurants. 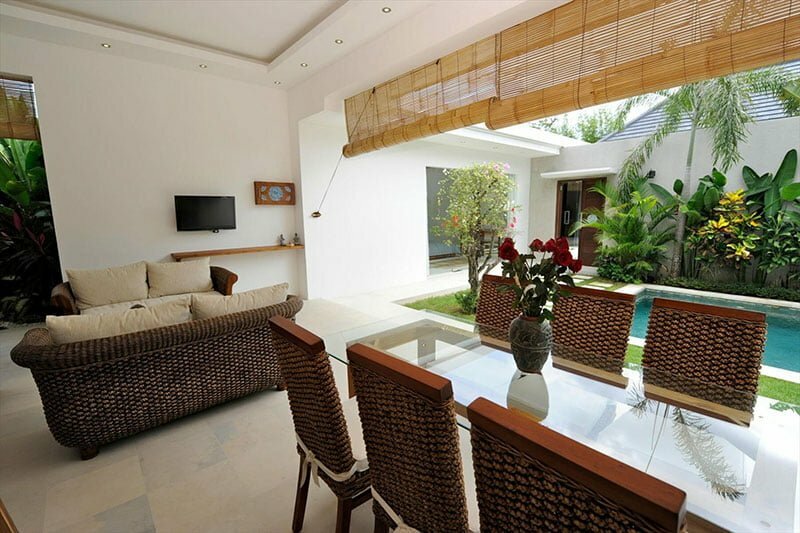 Ceningan Villa Complex is the place to be when you want to enjoy a cool, fresh breeze oozing through tall tropical foliage. 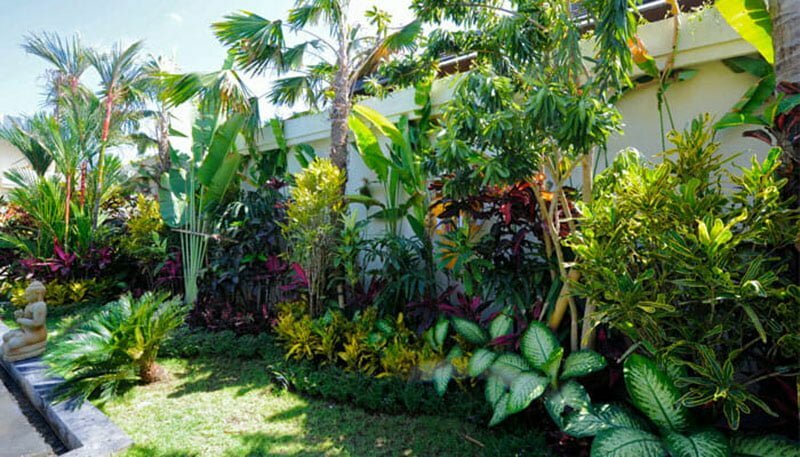 Besides palm trees, frangipani trees, and other tropical foliage, the grass at our lawn is well-kept so it becomes a good spot for kids to play around. Much of the complex’s fun takes place at the pool area. 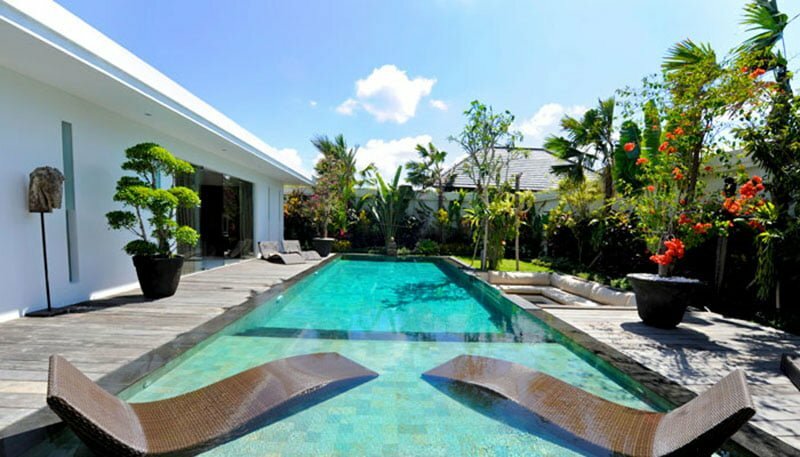 Here, guests can indulge in swim laps and even water splashing. 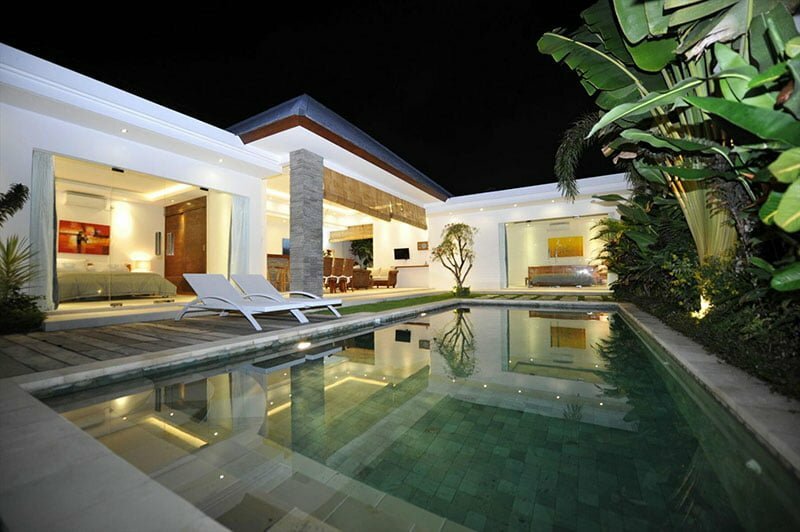 When exhausted, they can head over to the pool’s loungers to soak up, relax, or chill out. 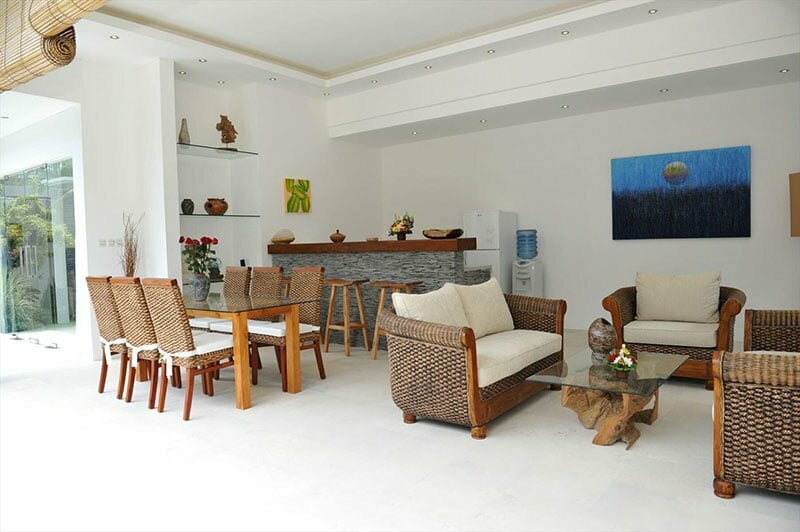 Our complex is made up of two villas, each advancing a private living room. However, features in both living areas are similar. 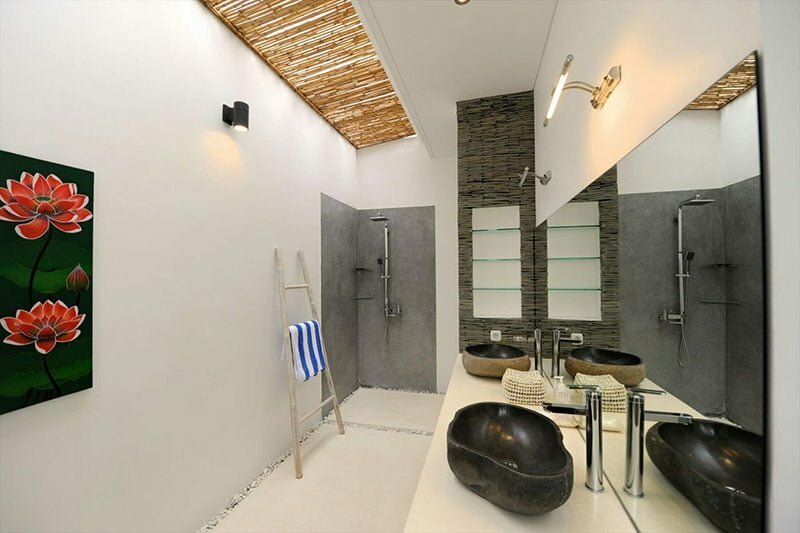 In a nutshell, the interiors are at a breeze thanks to a clever mix of traditional and modern designs. There are is an L-shaped sofa facing wall-mounted flat-screen television with a sound system and DVD player for optimum entertainment and comfort. 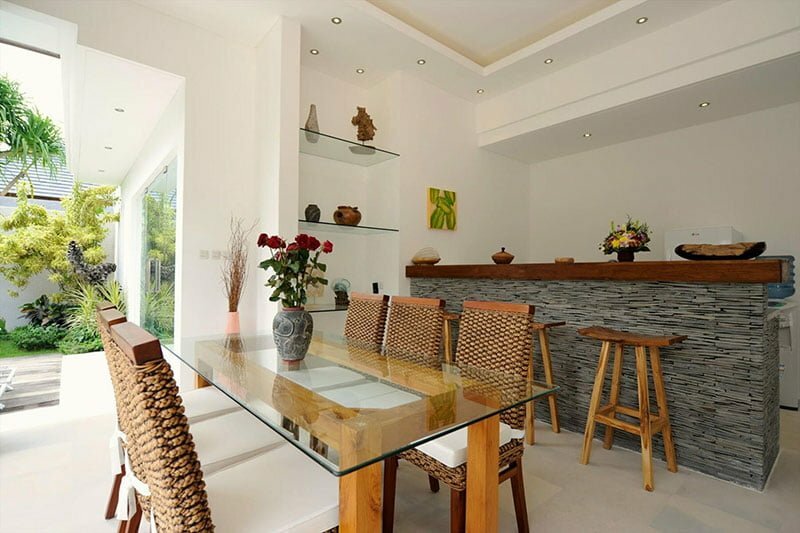 The living room also features a dining room with teak dining table and four rattan armchairs. Next to the dining area is a fully furnished kitchen area. 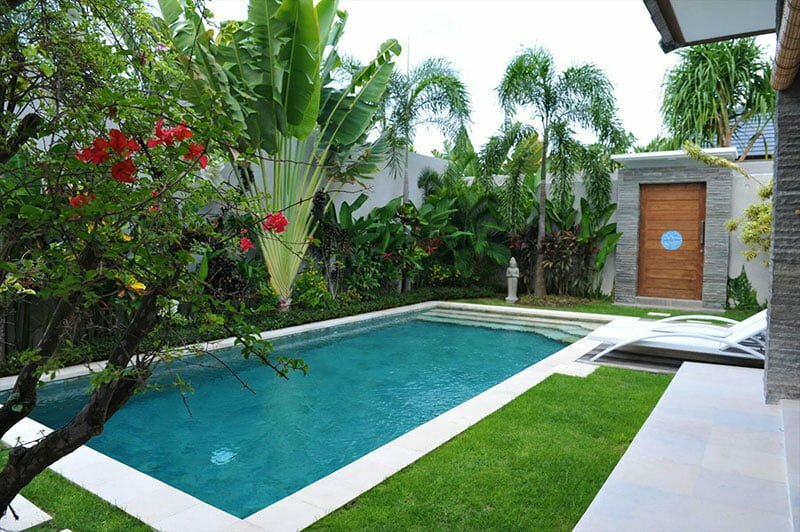 Ceningan Villa Complex offers five bedrooms, and three of them are nestled at Villa Cantik. 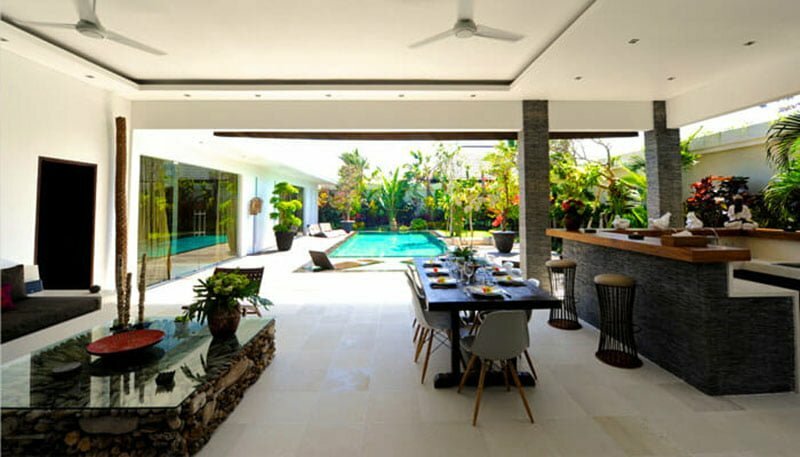 This villa is a subtle blend of Balinese and contemporary styles to unleash one of the most comfortable accommodation facility. 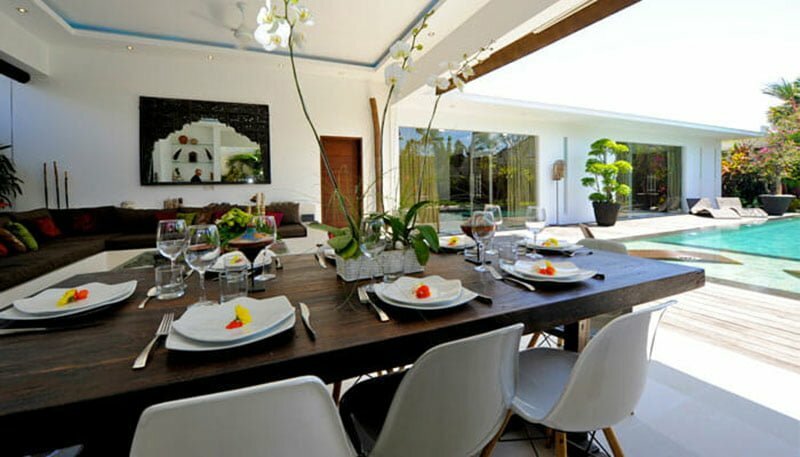 After a day-long exploring Bali, you can gather with your friends/family at the villa’s living room for cool entertainment or feast on a sumptuous meal at the dining area. 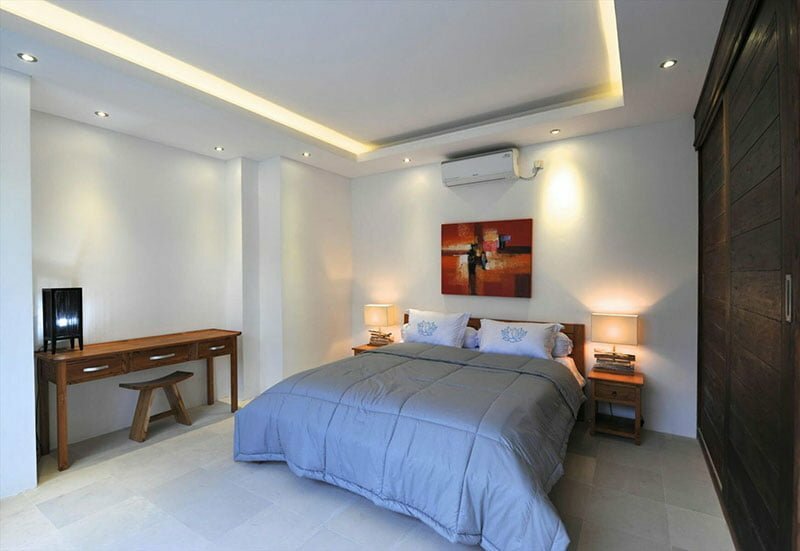 The three bedrooms are equipped with king-size beds, a flat-screen television, and en-suite bathroom. 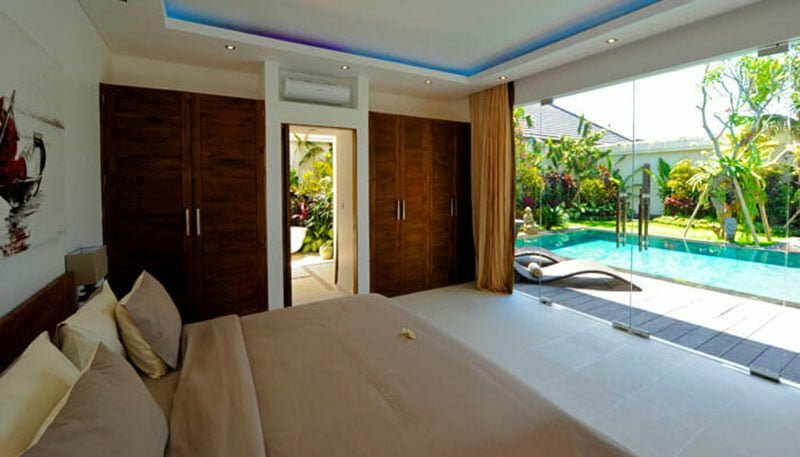 The last set of our bedrooms are set at Villa Lotus. 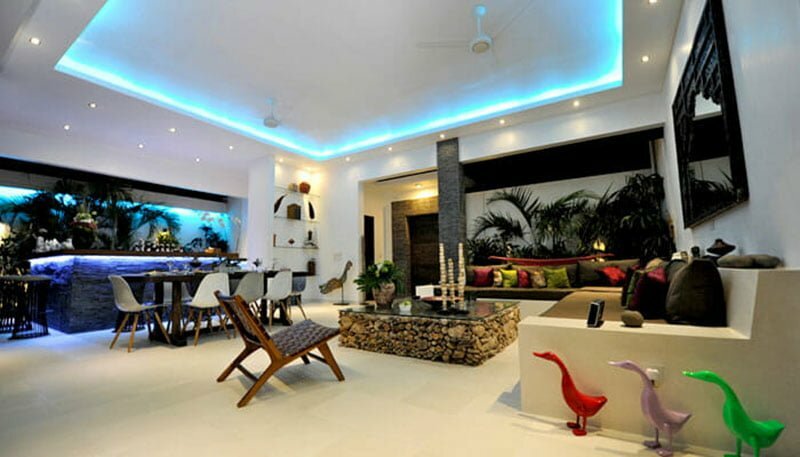 These bedrooms are arranged to face each other across the lounge. 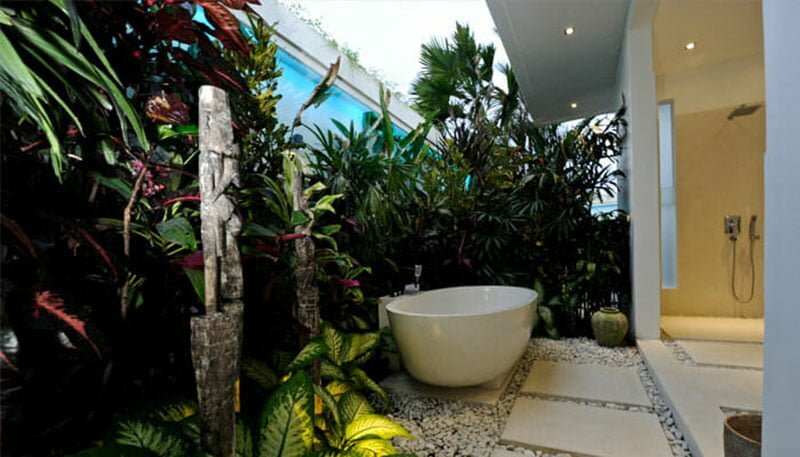 Since they are located on the first floor, they overlook the garden and the pool area. 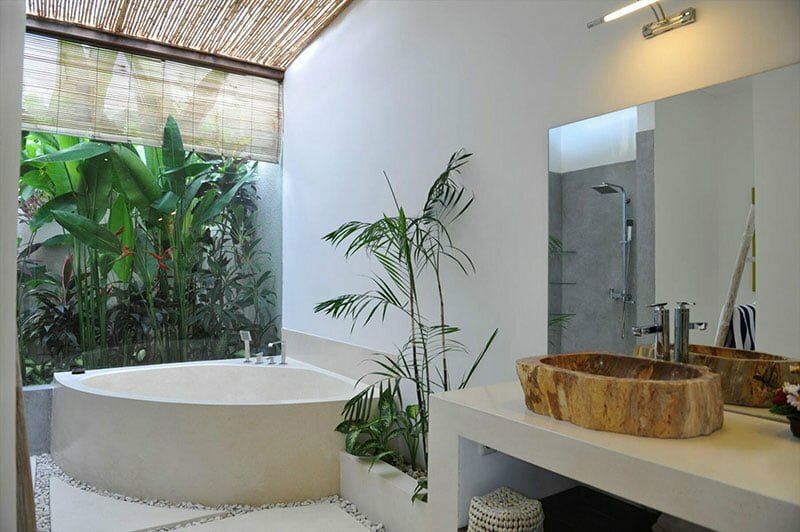 Both have king-size beds, exotic bathrooms (with free toiletries), flat-screen television, and free Wi-Fi internet. 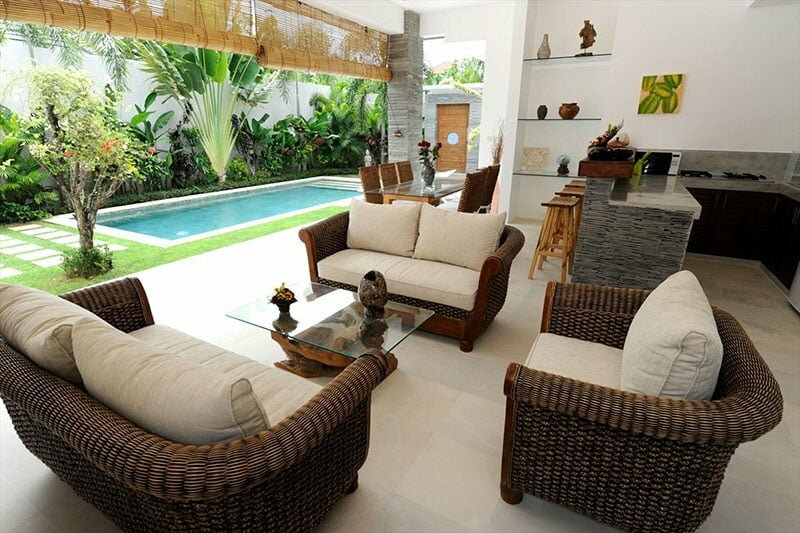 Just like its counterpart, both bedrooms a direct access to a private living area, kitchen, and dining room. 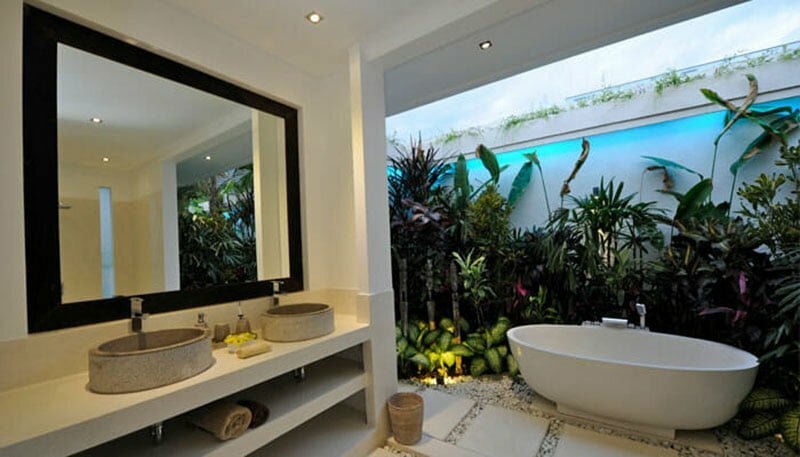 We endeavor to offer one of the best and leading hospitality services in Bali. To achieve this, we’ve invested in a team of highly trained professional working around-the-clock. 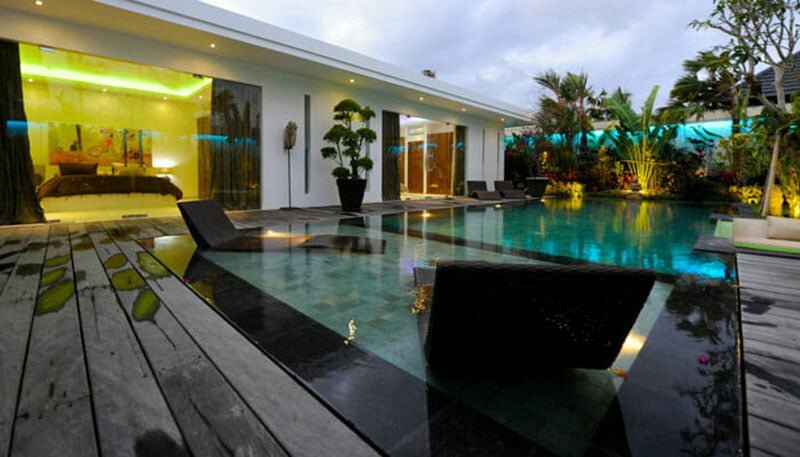 The team includes a villa manager, security guard, gardener, butler, and housekeeper among others. 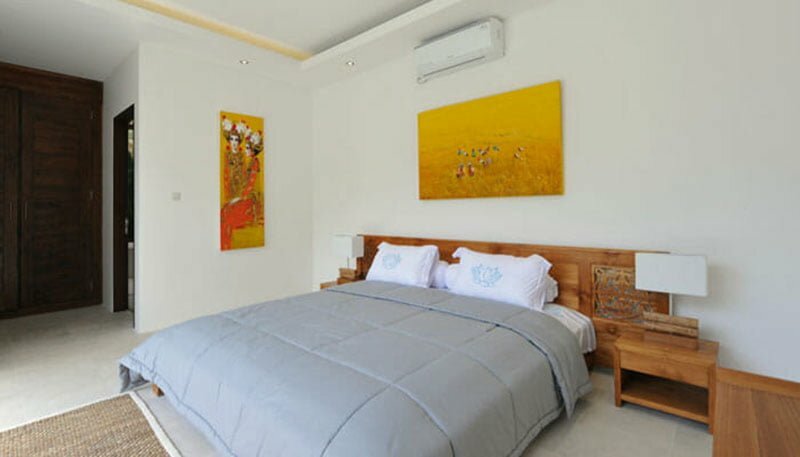 Services offered at Ceningan Villa Complex include daily housekeeping, laundry/ironing, free breakfast, free Wi-Fi internet, 24/7 security, airport transfers, spa/massage, car/motorbike rentals, babysitting, and daily tours. Any other services not specified here may be offered upon request.